Our readers nominated their favorite subscription boxes, then voted on which of those boxes they loved most. Here’s what they chose as the Best Subscription Boxes for Cats! Did you know there are subscription boxes for pets? What better way to show your cat some love than with a monthly box of toys, treats, and other fun finds for felines (and their fans)?! We asked our readers to name the very best subscription boxes for cats—the ones that make kitties and their owners purr with glee. Here are their recommendations that received the most votes, in order of popularity! LIMITED TIME DEAL: Use coupon code CATMOMLIFE to save 20% off your first box. Sign up here! The Products: This is such a fun box for cat lovers! Choose from the standard Cat Lady Box for 2-3 cat-themed gifts (think jewelry, clothes, accessories, home decor, and books) or choose the Crazy Cat Lady Box level and get the standard contents plus some surprises JUST for your cats! Check out all of our Cat Lady Box reviews to learn more. The Cost: $22.95 a month or every other month. Gift subscriptions are $32.95 for one month, $83.85 for three months, or $137.70 for 6 months. All options include free shipping. COUPON: Save 10% off of all subscriptions with code ADDICTION. Sign up here! The Products: Each month, your kitty will receive 5-7 toys and treats. You can expect everything from squeaky toys and catnip to quirky collars and other fun finds! Good to know: Meowbox will substitute non-food items for cats with special dietary requirements. (There is a box to check during the signup process if you want to do this.) And for every Meowbox you buy, they give one can of food to a shelter cat! Check out all of our Meowbox reviews to learn more. The Cost: $29.95 per month for the bronze level (3-5 items for one type of pet); $39.95 a month for the silver level (6-8 items for up to two types of pet); $49.95 a month for the gold level (9+ items for three types of pets). Save with longer subscriptions! COUPON: Use code MSA15 to save 15% off any subscription. Sign up here! The Products: Each month, you’ll receive toys, treats, and supplies for your cat. If you happen to get something your cat really loves, you can hop on the online Cuddle Crate store, where they carry some of their most popular products. It’s a great pick if you have multiple kinds of pets, too—you can personalize your box to include items for dogs, cats, rabbits, guinea pigs, gerbils, or hamsters! Check out all of our Cuddle Crate reviews to learn more. COUPON: Save 15% off your first box with code SUBSCRIPTIONADDICTION15. Sign up here! The Products: This box comes packed with toys, treats, and occasional health or hygiene items for cats! They aim to include high-quality cat toys, all-natural treats, and other fun items to keep your kitty happy and healthy. Check out all of our KitNipBox reviews to learn more. Coupon: Use code MSA10 to save 10% off any subscription, for life. Sign up here! The Products: If you like to dress up your pet, then this is the subscription box for you! Choose the Meow level of the subscription to get cat toys, treats, goodies, AND a cute outfit. 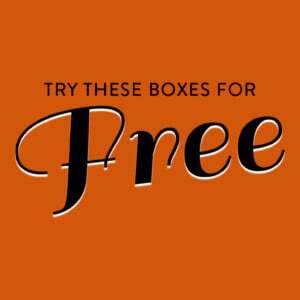 Check out all of our Whiskerbox reviews to learn more. The Cost: $33.90 per box ($24.95 subscription price + $8.95 shipping). Sign up here! The Products: This bi-monthly box sends a bundle of new cat toys and some other surprises, too. We love the giant, uniquely shaped scratchers they send along! Check out all of our Cat Claws Club reviews to learn more. The Cost: $25 per month or save with longer subscriptions. Sign up here! 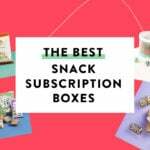 The Products: Each installment of this subscription by TheGiftBox.com features a fun assortment of cat toys and treats curated around a monthly theme! Check out all of our PetBox Club reviews to learn more. The Products: Not only does this subscription send your cat toys, treats, and accessories—they also help provide food and vaccines to shelter pets! Check out all of our RescueBox reviews to learn more. The Cost: $3.50 per month. Sign up here! The Products: The name says it all. This subscription box sends you a large-format artist-designed sticker every month, all featuring (you guessed it)… cats! This one is more for owners than felines, but at this price it can’t be missed. Ships to: US for free. Outside the US for $1.00 shipping. The Cost: $12.99 a month. Month-to-month plans are only available at this time. Tennessee residents will have to pay 9.5% sales tax. COUPON: Use code CATPACK50 to save 50% off your first box. Sign up here! The Products: PetTreater is one of the most affordable pet subscription boxes. Nab a new box of cat treats and toys each month! Check out all of our Pet Treater reviews to learn more. The Products: Get toys, treats, and grooming supplies selected by veterinarians with the needs of cats in mind! Check out all of our VetPetBox reviews to learn more. The Cost: Subscriptions start at £31.95 (About $45.30 USD at the current exchange rate). Sign up here! The Products: This UK box features gifts for cat lovers, including jewelry, accessories, wearables, items for the home, office supplies, artwork, and more! Want something for your cat to enjoy, too? Choose the option that includes the “Gift for Kitty” package! Check out all of our My Purrfect Gift Box reviews to learn more. The Cost: £19.90 per box. Sign up here! The Products: Each month, this UK-only subscription box sends your kitty yummy treats, toys, accessories and hygiene products. Ships to: United Kingdom Mainland (excluding the Channel Islands, Isle of Man, and Northern Ireland), France and Belgium. The Cost: $19.95 per box. Buy it here! 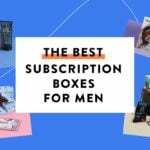 The Products: This box isn’t a subscription, but that didn’t stop our readers from voting for it! Created by the pet experts at Chewy.com, this one-time purchase Goody Box includes 5 or more full-size treats and toys for cats. Expect goodies from well-known brands chosen to please kitties 1-year-old and up! Check out all of our Chewy Goody Box reviews to learn more. That wraps up our list of the best cat subscription boxes! Did your favorite make the list? Which other cat gift boxes do you love?